Traditionally, during a mastectomy with implant-based reconstruction, the surgical oncologist completes their operative procedure prior to the reconstructive surgeon entering the room. In this scenario, two separate instruments kits and tables are utilized. In our institution, we created a combined instrument kit for use by both surgical teams. We compared set-up and operative times for each process and the subsequent savings associated with this novel approach. Sixty-eight patients undergoing mastectomy with implant-based reconstruction were divided into two groups—those who underwent the procedure with separate oncology and reconstructive kits and those who underwent the procedure with combined instrumentation. Set-up time, procedure time, and clinical outcome endpoints were compared. Costs associated with each process were estimated. Surgical set-up time was lower using the combined kit versus separate kits [mean for unilateral cases, 25.1 ± 9.6 min vs. 35.7 ± 10.4 min (p < 0.01) and mean for bilateral cases, 33.1 ± 10.3 min vs. 43.5 ± 9.9 min (p = 0.31)]. Procedure time was significantly lower using the combined kit versus separate kits [mean for unilateral cases, 156.2 ± 31.7 min vs. 172.1 ± 33.0 min (p < 0.05) and mean for bilateral cases, 207.3 ± 39.3 min vs. 228. 8 ± 42.7 min (p = 0.03)]. Post-operative outcomes were not significantly different between the two groups at 6 months post-surgery (p = 0.72). Due to a decrease in operating room utilization and costs associated with instrumentation, we estimated $134,396 to $206,621 with unilateral cases and a $289,167 to $465,967 in yearly savings with bilateral cases by using the combined process. 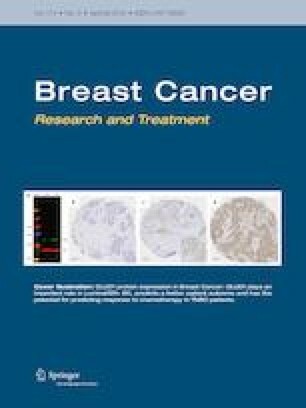 Mastectomy with implant-based reconstruction utilizing combined instrumentation, with surgeons working simultaneously, led to decreased operating room utilization and costs without impacting clinical outcomes. “E-Poster Presentation” at the American College of Surgeons, Clinical Congress 2018. Eric Liao M.D. Ph.D has consultant agreements but is explicitly not a speaker for Musculoskeletal Transplant Foundation and Allergan Inc., manufacturers of FlexHD and AlloDerm, respectively. No funds were received for this clinical study.